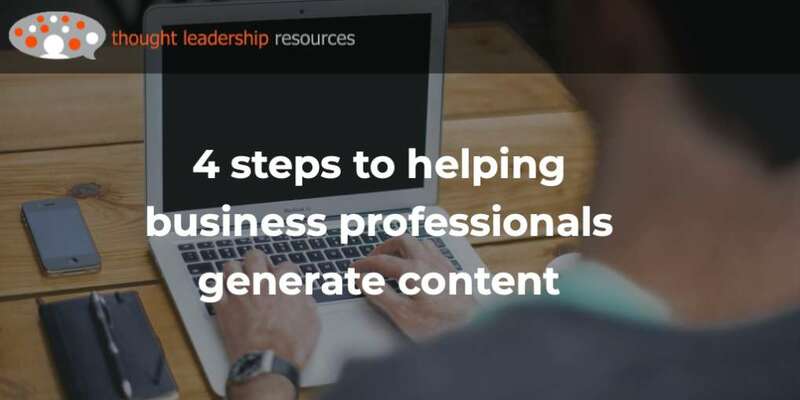 You want your articles, blog posts, speeches and other content to help you gain clients, right? So, would it be better for you to create content that focuses on (1) what you want to say to the universe, or (2) meeting the information needs of your ideal clients, and showing how you can help them? In case you were wondering, the correct answer is (2). 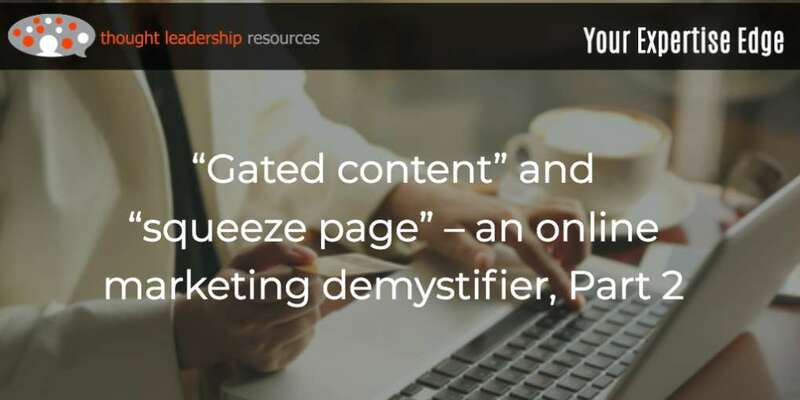 That is the whole focus of this blog, Your Expertise Edge – helping you show potential clients that you can help them achieve their goals, by providing really useful information and making it available to them. I saw the need for the Door #2 approach in a recent workshop on blogging that I presented at a Toronto co-working-and-incubator-space called Women on the Move, on finding effective blog topics. 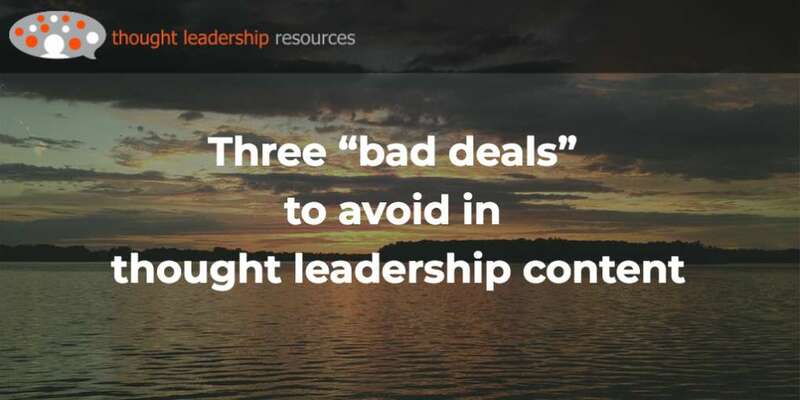 List the three top worries or concerns of that ideal intended reader (reason: if your chosen topic isn’t a pressing worry for the people you most want to serve, they’re not going to pay attention). 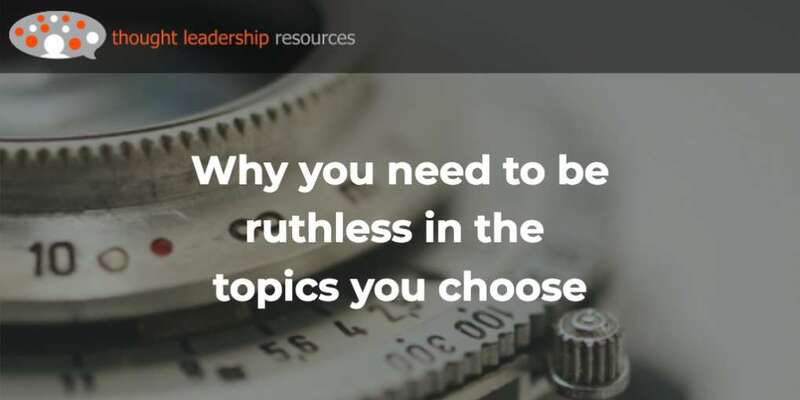 That’s a three-step process that anyone should go through when it comes to choosing effective topics – for their blog, but also for published articles, speeches, books, white papers and videos. Without a clear idea of your purpose, you won’t know whether a proposed topic serves you or not. Unless you have a clear idea of your ideal client, you won’t know what information will serve them. And, you need to take note of their most serious issues and concerns, or those ideal clients will ignore what you have to say. Here are my thoughts on how you can find “Goldilocks” topics – that are just right for showing your intended clients how you can help them, in a non-salesy kind of way. 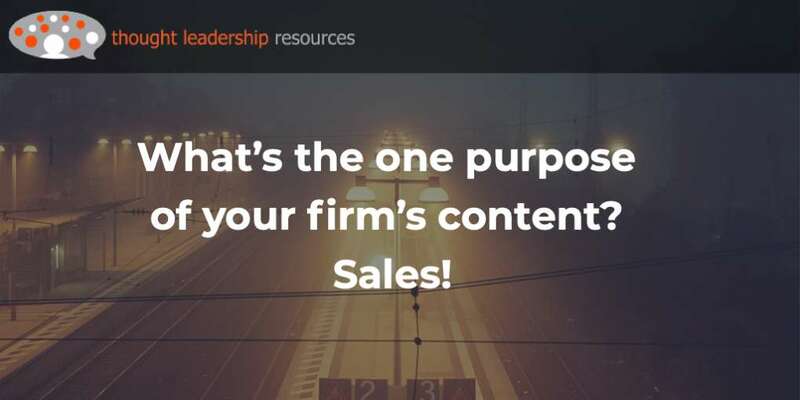 The first filter for your content topics is to delete any that do not address the needs of your ideal clients – specifically, problems that are pressing on them immediately. You can’t afford to waste your time creating content that is off-topic for your clients. 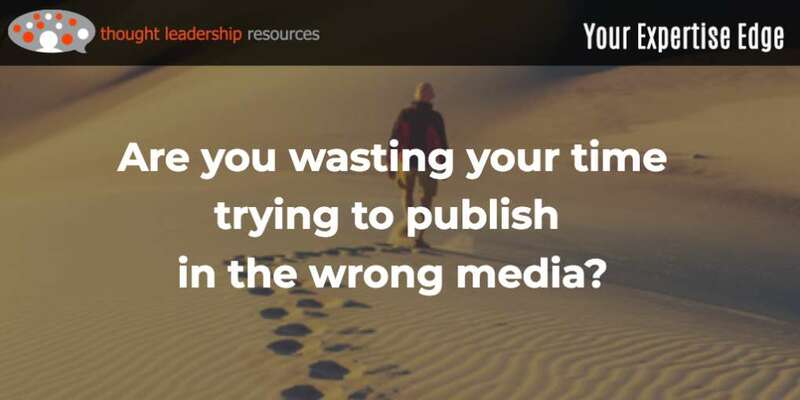 You also can’t afford to waste an opportunity when a potential client sees one of your tweets, blog posts or articles, with a topic that doesn’t help them with an issue they consider important. This starts with making sure that you know who your ideal clients actually are. It could be that you want to serve a specific industry – for example, charitable organizations. If that’s your focus, you need to do as my students in the workshop did, and get a clear idea of their needs. 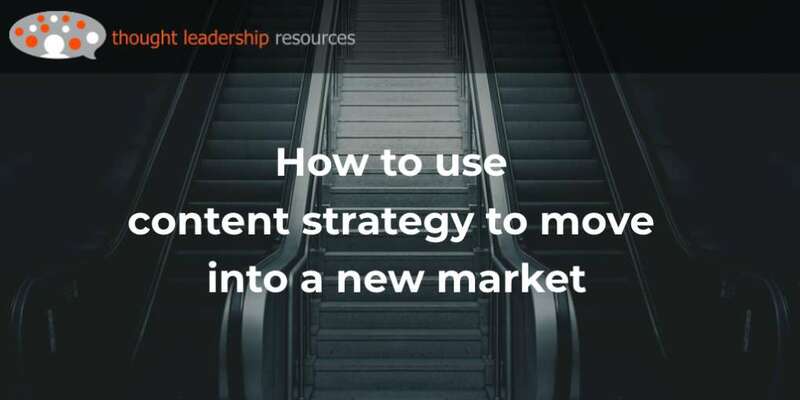 I addressed this in blog post #81, “How to create ‘how-to’ content that actually helps your clients”. Then, you need to think about the issues that they are facing – maybe a new law or regulation, and create content around it (called “newsjacking,” covered in a video you can see here). Human nature being what it is, your clients are more likely to take action on sudden changes that affect them. 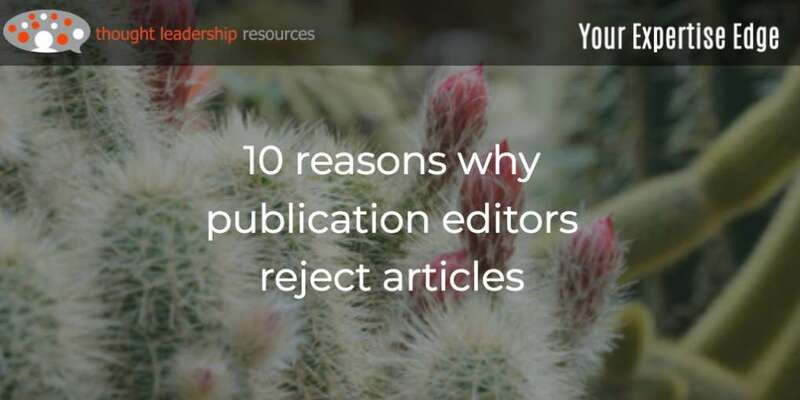 And while you can create content around opportunities that they can access – such as a government funding program – they’re more likely to take action if you can point out something that has the potential to cause them harm. That could include a new regulation that might complicate their lives, increase costs, add to uncertainty or lengthen timelines. 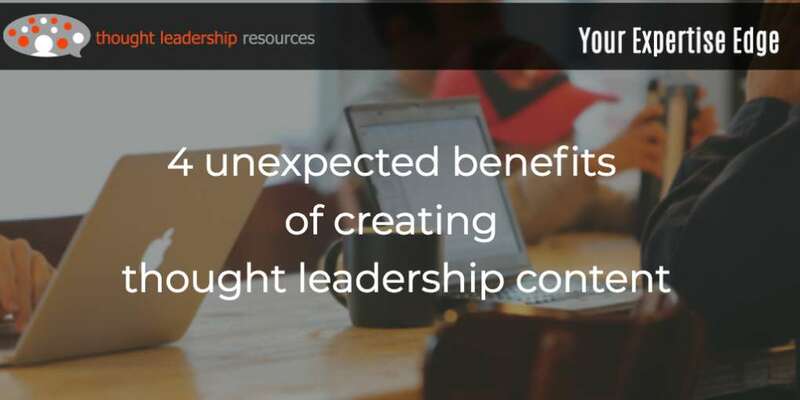 Show that you’re helpful, with relevant solutions to offer, by making sure that the ideas you propose are appropriate to their role in the organization. Let’s say, for example, that your work involves helping organizations create environments in which instances of sexual harassment and discrimination are dealt with promptly and effectively. If your clients are small to midsize companies in which HR people deal with such situations directly, you might create some how-to content helping HR professionals handle interviews with employees who come to the HR person with complaints – and do it in a professional, effective and empathetic manner. 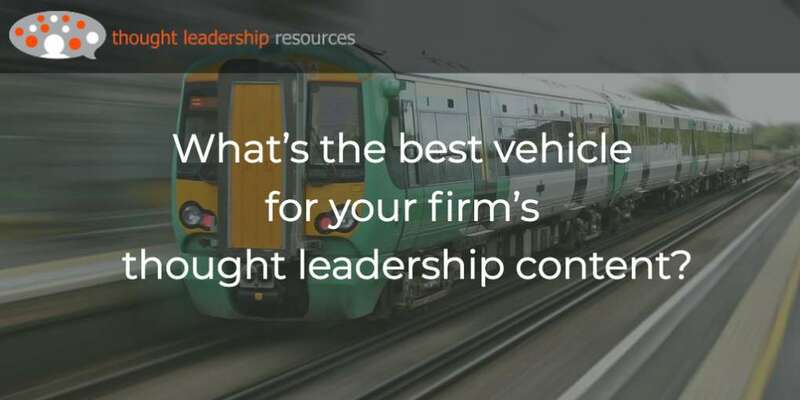 On the other hand, content for the owners of companies and for larger organizations might look more at how to set up a culture in which people who have been treated wrongly feel free to come forward without fear of having their issue shoved under the carpet. Everyone wants to look good to their boss. 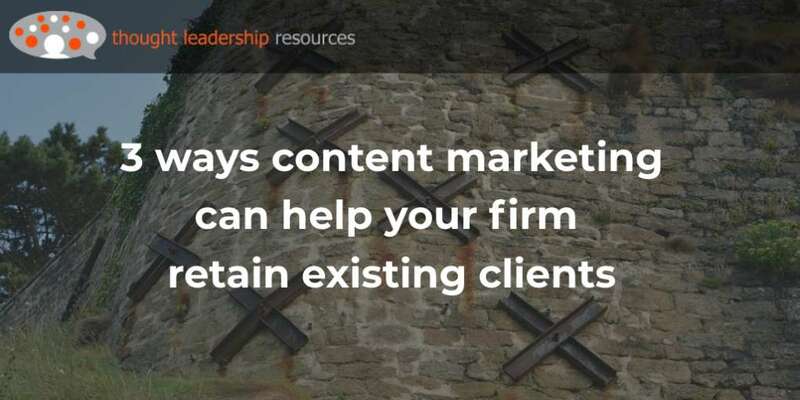 For this reason, you should focus your content on helping your ideal clients do just that. Using the sexual-harassment for instance, the HR director will want to be seen as someone who can support the company’s goal of being accepted as a good place to work. Some HR directors in Silicon Valley companies, let’s say, are under pressure to recruit and retain more non-white-males in the organization, particularly in leadership roles. If you can show them how to do that, they’ll be grateful enough to bookmark your blog and eventually, pull you in for a meeting to see how you can help. 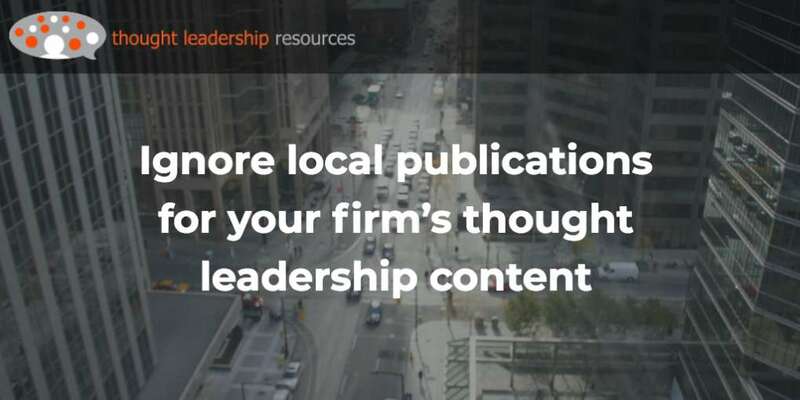 To create effective content in this area, focus on issues that will help your ideal clients keep their job, get promoted, and earn bonuses. In looking for topics for your content, you need to focus on topics that your ideal client is in a position to solve. That includes making sure that your client has the skills to deal with the issue. 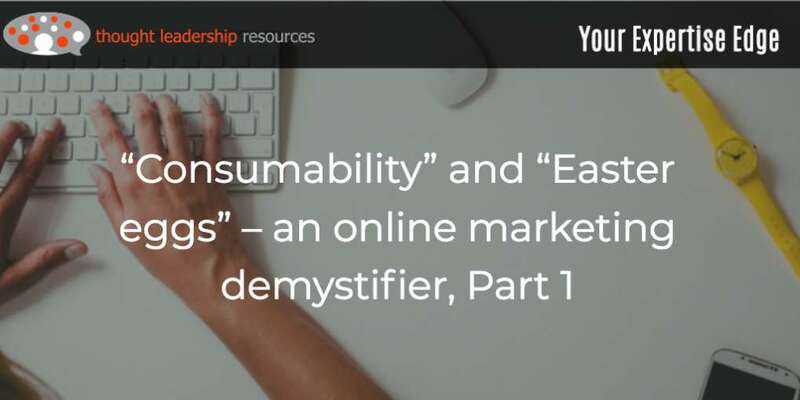 You could write a post on how to create an amazing website for e-commerce purposes, and it would go right over my head, because I just don’t have the skills to do that. You’d be better off writing about how I can write effective descriptions for the products I’m trying to sell. And, direct your content on amazing websites at someone who does have those skills, such as my website developer Andrea. About sexual-harassment thing – most HR directors are not in position to manage the behavior of employees, particularly the way that senior male managers and company founders treat their female employees. So, if you have ideas on how to develop a respectful work culture, you’d be best to direct them at the line managers, not HR. Many high-tech companies have, to their credit, taken the problem of sexual discrimination and lack of diversity seriously, and are trying to solve it – or at least to look as though they are. So, the issue has traction currently. Ten years ago, this would not have been so much (or at all) the case. It certainly was an issue for women trying to get treated in a decent and respectful manner, but it wasn’t an issue that had seized the popular imagination – movies like “Working Girl” and “Nine to Five” notwithstanding. 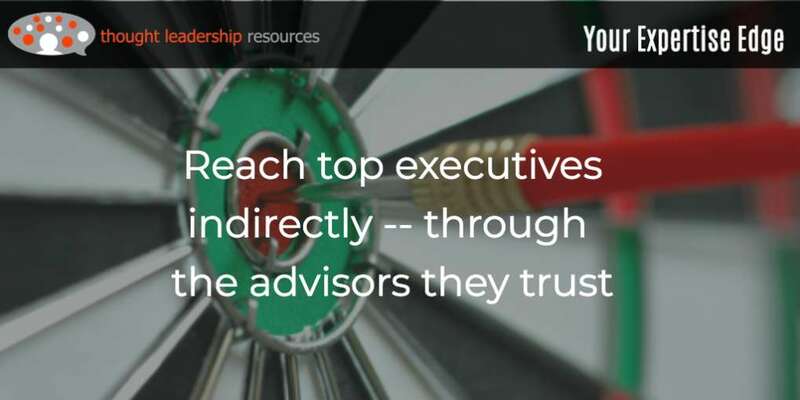 It’s laudable to take on leading-edge issues and create traction around them, but business professionals are rarely in position to take a leading role. They need to focus on solving problems that their ideal clients recognize, can solve, and want to solve. 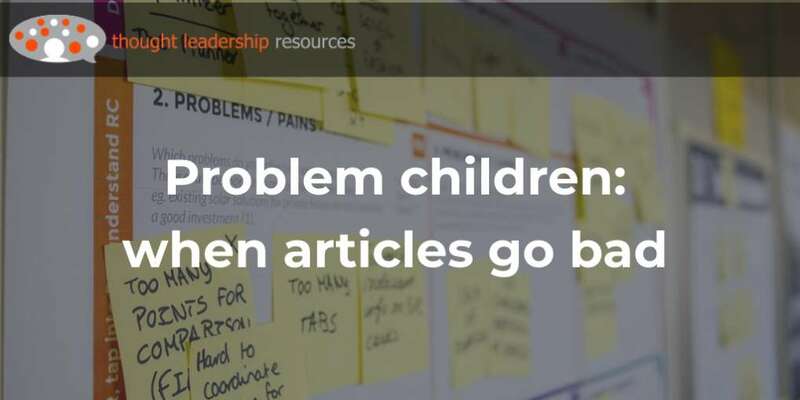 Other people are in a better position to take leading-edge positions on “here’s a problem that has to be solved – let’s do something about it!” These include charitable agencies, non-governmental organizations, publication editors, journalists and leading-edge bloggers. For example, it used to be that mining companies working in developing countries could behave very badly regarding the environmental and social impacts of their operations. Many of them would quite bluntly just buy off the local government or the local military commander, and then do what they wanted. Then, NGOs came to recognize the problem, a wrong that needed to be righted. They also saw the opportunity – a cause that they could champion as a way to raise money for their own organization. NGOs discovered the power of social media to embarrass a mining company even if its activities were carried out in a far-away country, and have that embarrassment felt in their own shareholder meetings and with their own banker. Mining companies with a reputation for bad environmental practice and stakeholder relations soon had trouble getting financing, and many mutual funds would no longer hold their securities. This meant that suddenly, helping mining companies manage their environmental and social impact became a big thing. So big that many environmental engineering firms, and independent practitioners, found that they could make money helping resource companies make nice to the people who were affected by their mines. And as a result, creating content on how to build stakeholder relations with previously-ignored people became a viable way to build a consulting practice. I’ve watched this evolution first-hand as a frequent attendee at PDAC, which is a mine-finance conference held in Toronto each year. Years ago, the program had no presentations at all on Corporate Social Responsibility (CSR). The topic gradually grew in popularity, with more sessions on CSR and more people in those sessions. The most recent years have produced an entire track that runs through the length of the conference. And, I might add, that is just fine with me. Attend conferences that are popular among the people you want as clients – conference organizers need to have their ear to the ground to hear what’s going to be popular among attendees. Given that many conferences are planned out a year in advance, this requires a finely-tuned sense of what’s going to be hot, and what won’t be. Read their trade media, particularly their websites where the narrow, niche news tends to get broken first. You’ll learn of new regulations before they become law, of court cases that are working their way through the legal process, and of new technologies that threaten to “Uberize” a business model. Look for new regulations at a wide range of levels – maybe a new ISO certification, a United Nations standard, a piece of legislation that’s been brought forward and is now being debated, or a new law. Such as, standards passed by the little-known International Finance Corporation, part of the World Bank, have had a great deal of influence on mining finance as it is impacted by CSR matters. On rare occasions, you’re writing for people like yourself. Many engineering firms, for example, get work through the engineering departments in their client organizations. Law firms get work from in-house corporate counsel, and accounting firms are hired by the accounting departments of their clients. 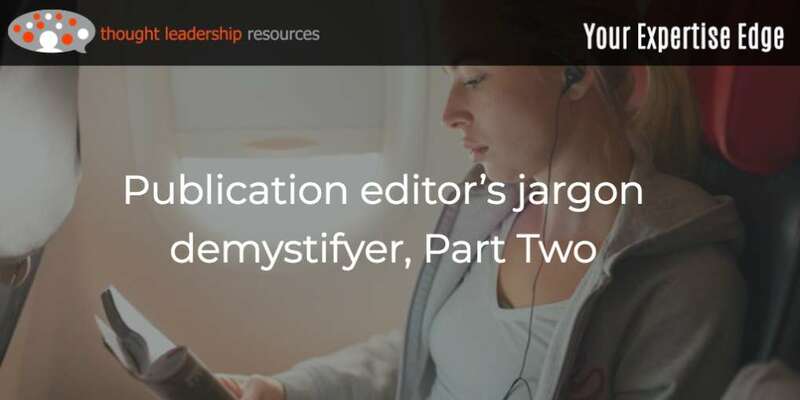 In such cases, you may be able to use much of the jargon you would use in internal communications – jargon that saves your client’s time because it is widely understood, and which also helps to show you as an “insider” that they can trust. But bear in mind that most clients won’t be like that. For your purposes, they’ll be generalists who don’t understand the terms and concepts you’ll be using. This means that you may need to define terms, spell out acronyms on their first use, and explain concepts that are common in your profession. One point I haven’t discussed in this post much is the question of credibility. 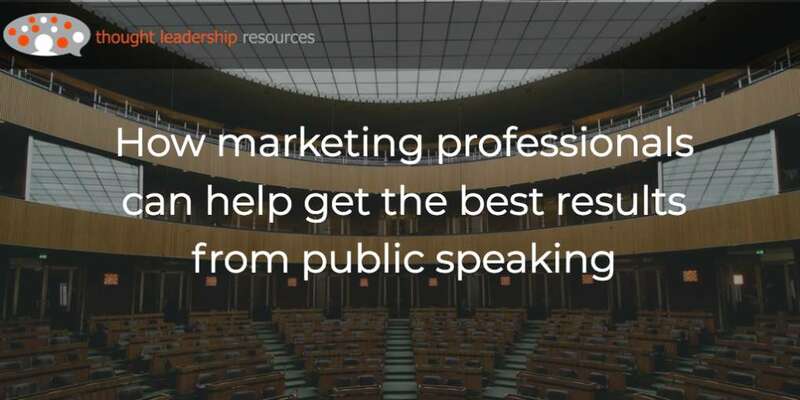 Any topic you choose must be one on which you have expertise and knowledge, so that your clients will actually benefit from what you have to say. And, it needs to be an area where you demonstrably have credibility. 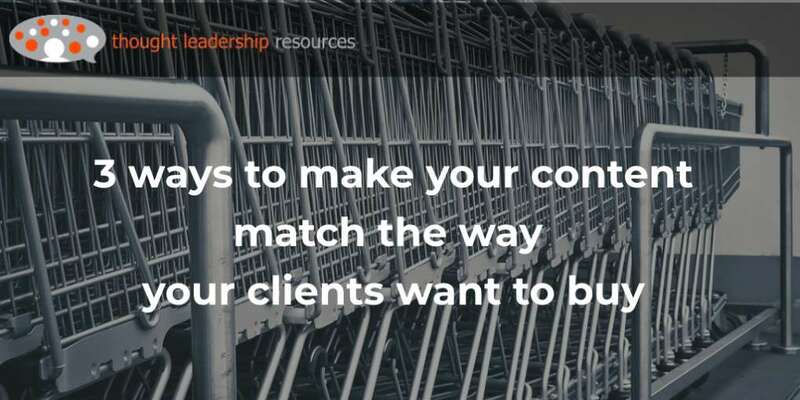 But the main key is around focusing your content not on issues you care about personally, but that will help your ideal clients do their work better – and as I said above, look good to their boss.